Many will not even notice that a new dwelling has sprung up within the South Yorkshire green belt, so well does this agricultural workers dwelling sit within its surroundings. 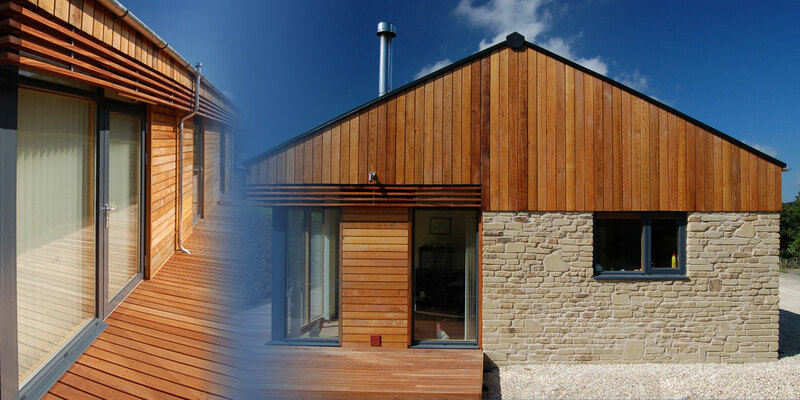 A contemporary interpretation of the very same agricultural barns that now form its backdrop; the low pitched roof, high level timber cladding and podium of sandstone are detailed in such a way that when viewed from a distance it is unnoticeable among the myriad of agricultural buildings around the area, but on closer inspection a dwelling of real quality is revealed. 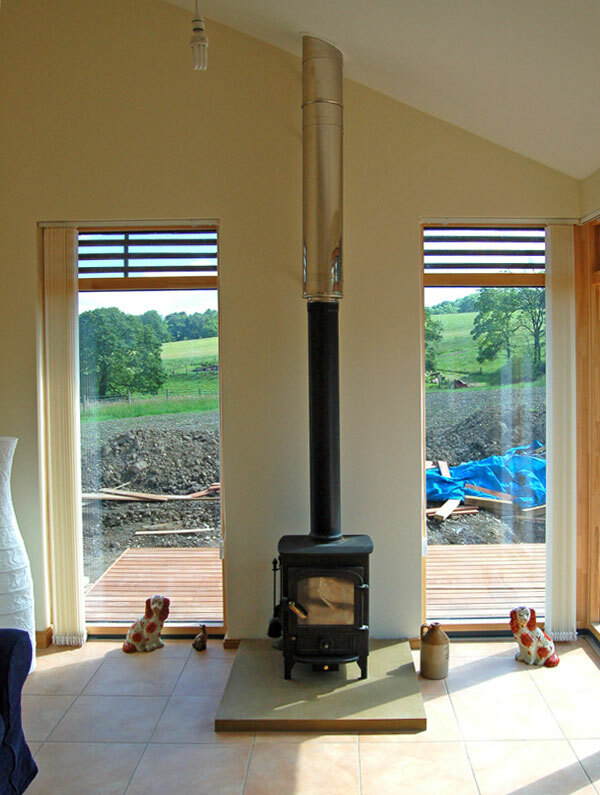 Inside it is simple, bright and fresh, with neutral floor tiles and oak doors and skirting. While floor dimensions are small the lofted ceilings and expanses of glass give an unexpected feeling of spaciousness. Underground, a 200 metre coil filled with water acts as a ground source heat pump. 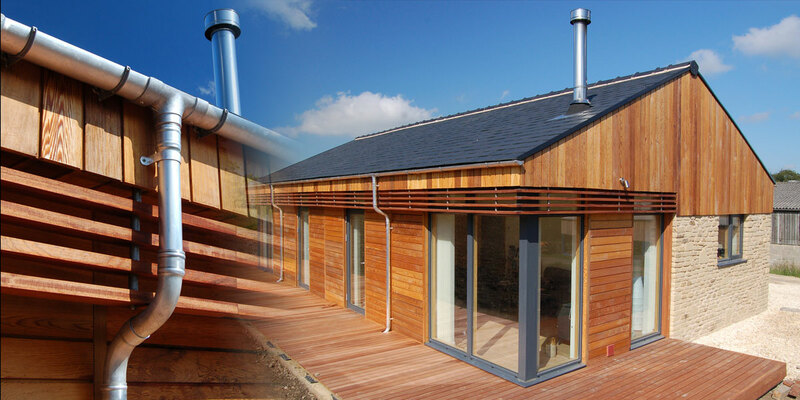 It pulls latent energy from the earth and converts it into heat which is then used in the underfloor heating system. A thick concrete ‘pad’ acts as a thermal mass to help keep things cool in summer and warm in winter. This combined with the log burning stove (fuelled by logs from the nearby wood) means that the house is warmed for free. 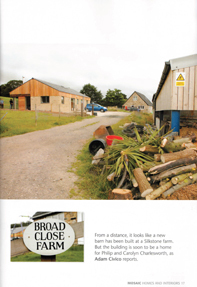 Broad Close Farm was featured in Mosaic Magazine, click the image or below to download the full article. "We are delighted with the innovative and imaginative approach Andrew has brought to our project, the house he has designed is everything we wanted and more. It will fit almost imperceptibly into the landscape while providing an intriguing but practical design with high environmental efficiency". "DSA's designs to remodel the house internally and create a completely new extension which dramatically opened out to our garden area was beyond our expectations; yet within our budget. I would definitely recommend using their services to other prospective clients considering who to appoint for their project". 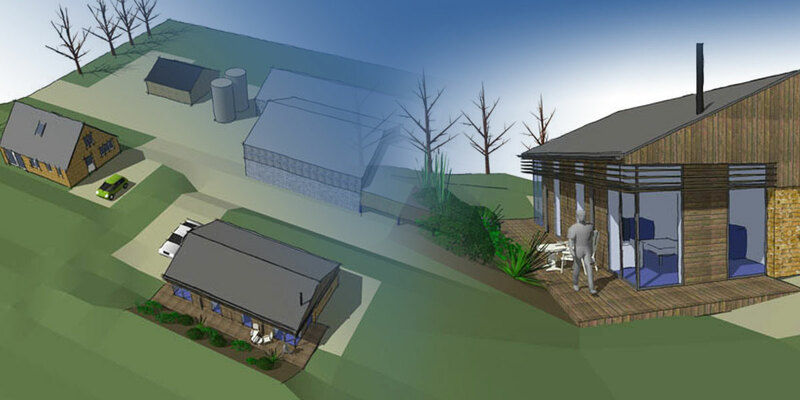 "Thank you for doing such a great job and for providing such good support during the building phase. I am very much looking forward to showing people around the finished building". "Andrew, many thanks for my splendid new house – it’s so lovely living in it". "Thanking you for this amazing house that has brought us many wonderful moments already & I know will continue to make great memories for us as a family, with very best wishes".